The essential power tools needed to build most residential homes are the circular saw, power drill, miter saw, table saw and router. Each of these power tools are described below. The first power tool on the list of essential power tools is the circular saw. 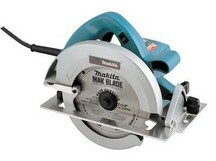 The best circular saw that I have ever owned, was the Makita sidewinder. It was my primary circular saw for over 30 years! It has recently become my secondary saw, since I bought a new Dewault sidewinder for use as my new primary saw. My Makita is still a very important saw in my tool collection. 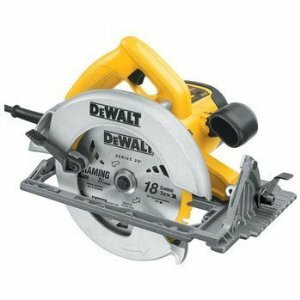 An old circular saw is good to keep around for use on demo or remodeling projects, where you might be cutting through materials other than wood, like roof shingles and nails, etc. Rarely an old quality tool need be discarded. Sears tools, also known as Craftsman tools, make great circular saws too. You can buy an inexpensive one if you don't plan to use it often, or if you are planning to use it in your carpentry business, Sears Craftsman also makes a professional series that is an excellent choice. A circular saw is, by far, the most essential saw used in home construction. You can frame an entire house with a circular saw. There are two primary types of circular saws to choose from, the sidewinder and the worm drive. They each have their advantages and disadvantages. Some carpenters that I have worked with over the years preferred using the worm drive type. Because of the nature of the drive mechanism, they are considered more durable under heavy daily use. Personally, despite what they have to offer, I find them heavy and difficult to use. I have also found that the sidewinders are quite durable as well. The most important part, for me, was the way the sidewinder felt. It was well balanced and easy to use with one hand, while the handle on the worm drive saw is located on the back, making it front-heavy, and in my opinion, more difficult to use. However, the worm drive has a larger blade and can cut thicker pieces of wood. Perhaps this is where the worm drive saw is most effective. 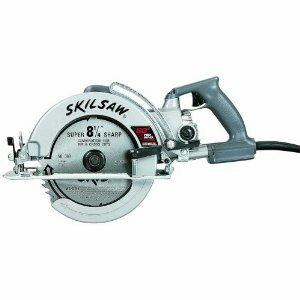 While reading through other circular saw reviews on your quest to find the best circular saw, compare the prices of the non-professional series and the professional series. The professional series cost a few dollars more, but are well worth the money spent. The first circular saw that I bought cost around $40 and didn't last 6 months. The second one (the Makita), cost around $100 dollars and lasted 30+ years. Second on the list of essential power tools are power drills. I own two power drills (not counting my cordless drills), one with a 3/8 inch chuck, and the other with a 1/2 inch chuck. The 3/8 inch drill is a high speed drill that is perfect for drilling small to medium sized holes in wood, plastic or metal. The 3/8 drill is also a little smaller and lighter weight than my 1/2 inch drill - this makes it easier to use, and it won't rip out of your hands if the drill bit hangs like my 1/2 inch low speed drill might do. The 1/2 inch low speed drill is perfect when you are drilling with large drill bits like a wood auger bit or hole saw bit, for example. If the bit binds a little, this powerful drill will keep on working. It comes with a handle on the neck of the drill so that you can hold it in two places while drilling. Believe me when I tell you that you will want to use the second hand grip. If your bit hangs while you are drilling a hole, the drill will rip from your grip if you aren't holding the drill firmly with both hands. Miter saws are number three on the list of essential power tools. I own only one miter saw - a 10 inch compound saw that works great for most moldings and trim, but if you are working with larger crown molding, for instance, I recommend a slightly larger compound miter saw. 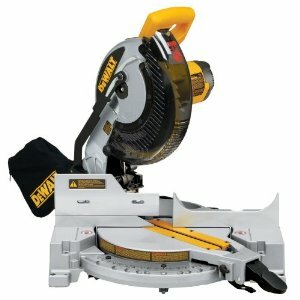 I've been looking at the one shown below and plan to purchase it (or a similar saw) when my 10-inch saw gets old (or until the need for the larger saw comes up). If you don't already own a miter saw, consider the larger version as your first purchase. This way you won't ever have to own two miter saws (since the larger saw will do all of the work the small saw will do). A table saw is certainly on the list of essential power tools and make a fine addition to your collection of carpentry saws. The first table saw that I owned was a 10-inch portable with a stand that had a table that was only capable of ripping 11 inch or less material. At the time of the purchase, that's all I needed. Soon after I purchased this saw, I started a new project that required a saw that could rip 24 inch material. I found this Ryobi portable table saw (below) on sale and bought it right away. It is not the most durable heavy duty table saw available, but it is great for its light weight, portability, and low cost. Another essential power tool is the router. A router can quickly add beauty and style to your woodworking projects. 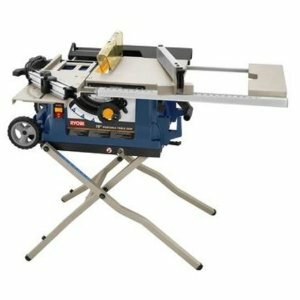 I currently own an inexpensive hand-me-down Craftsman router that works great for now, but when I'm in the market for my next router, I'll purchase the one that I've had my eye on for years (below). 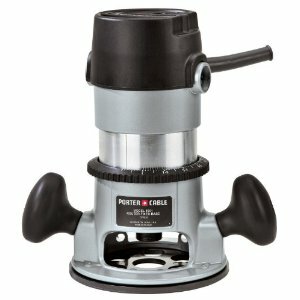 This Porter Cable router is very solid and compact and perfect for any size project. I used one when working for a deck builder a few years ago and always appreciated its solid and compact feel. Another essential power tool is a reciprocating saw. 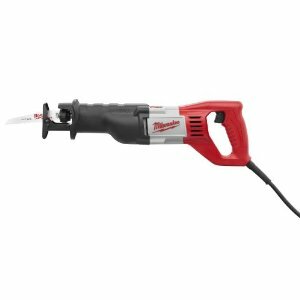 I was a carpenter for five years before I owned one, and once I bought my first reciprocating saw (or sawzall), I don't know how I ever lived without it. ** All essential power tool images on this page were obtained from Amazon.com.